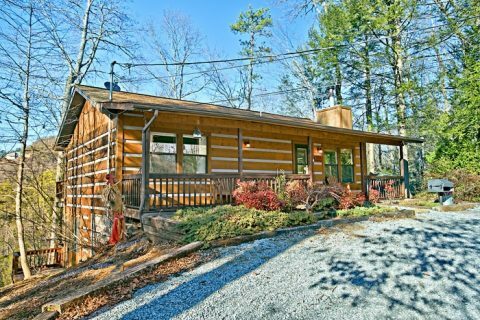 This Smoky Mountain semi-secluded cabin rental, "Blessed Memories," places guests near all the action of Downtown Pigeon Forge. 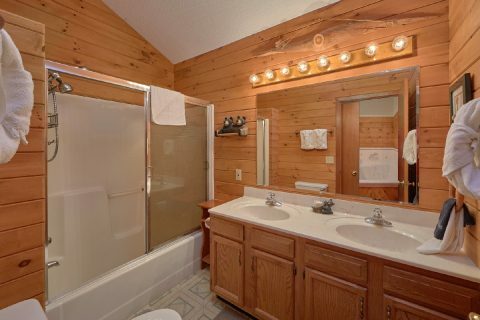 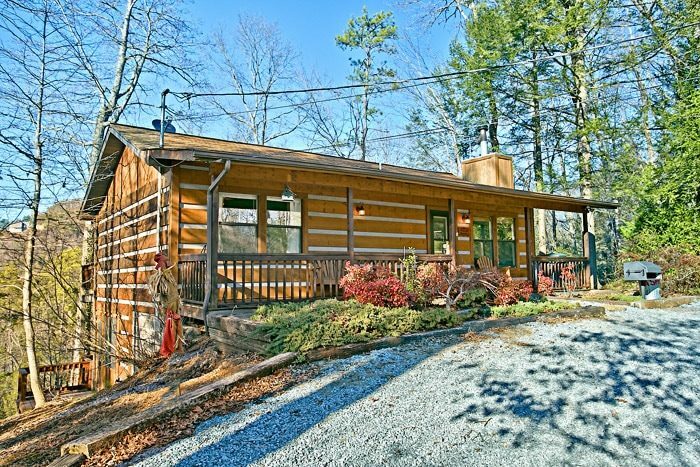 Guests will appreciate the fast access to Dollywood and they'll also enjoy the semi-seclusion offered by their Smoky Mountain cabin with sauna. 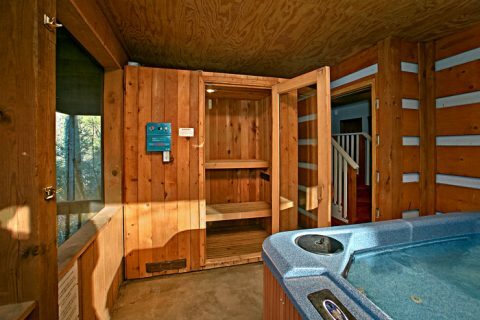 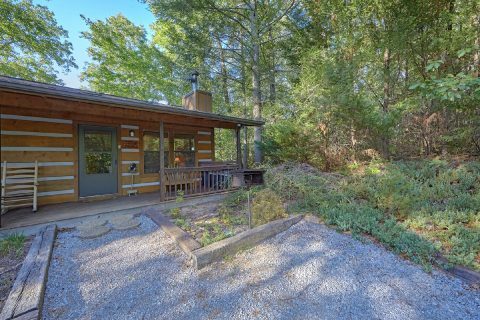 "Blessed Memories" comes with amenities such as a sauna, hot tub, WiFi and more and rests in a tranquil, wooded setting. 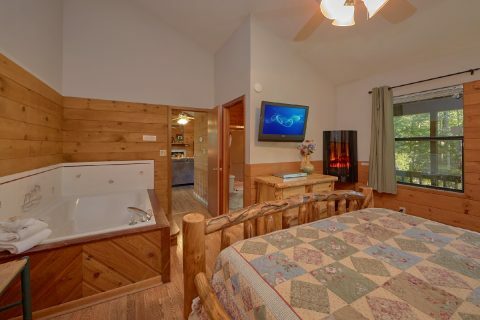 The cabin's charming, rustic appeal boasts a spacious master suite complete with king-size bed, in-room jacuzzi, a flat-screen television, and a private bath. 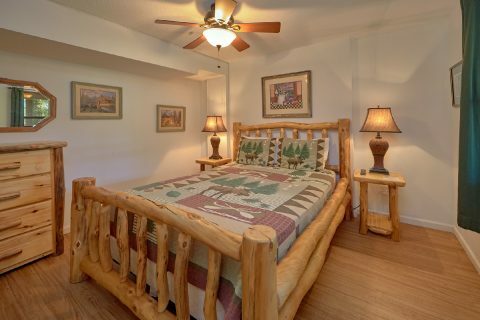 The second bedroom is located on the lower level and offers a queen-size log bed and television. 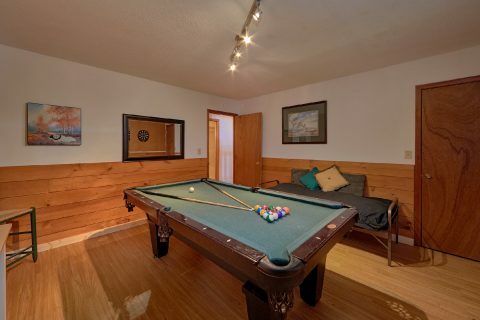 You'll also find the cabin's game room on this floor. 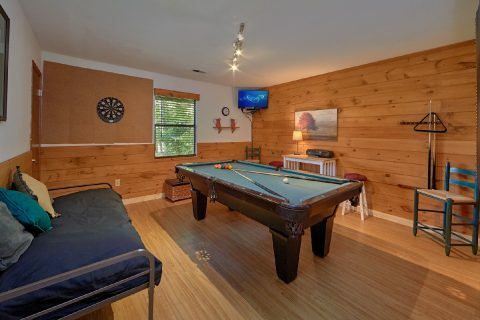 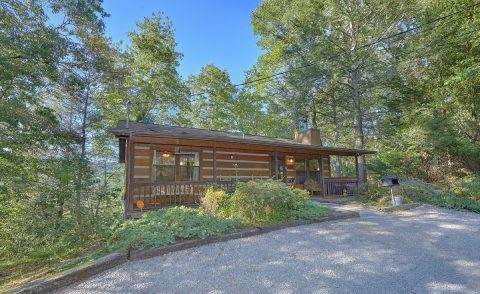 Complete with a pool table, dartboard, and television, there's plenty of entertainment to be had at this Smoky Mountain semi-secluded cabin. 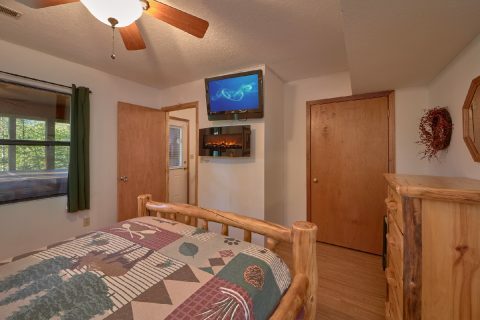 While an ample amount of attractions remain a stone's throw from "Blessed Memories," make sure to save time for relaxation. 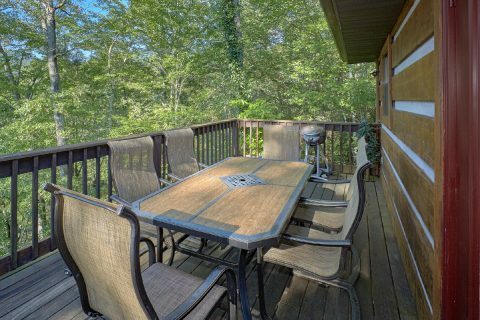 Evenings provide the perfect time for relaxing in the back porch's screened-in hot tub or sauna! 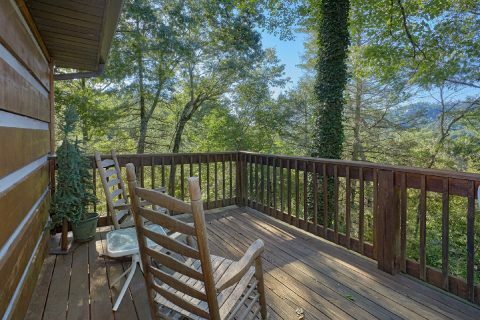 There's also plenty of reasons to spend time outdoors with your cabin's rocking chairs, a porch swing, picnic table and charcoal grill. 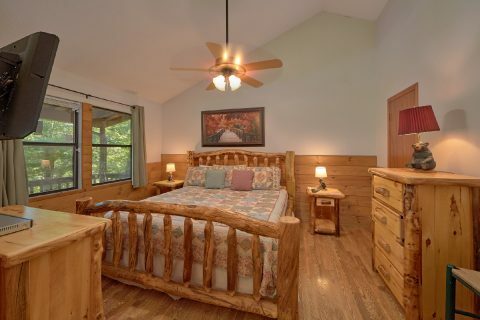 "Blessed Memories" sleeps 6 and offers a great opportunity for families small or large to share quality time together in a relaxed vacation setting. 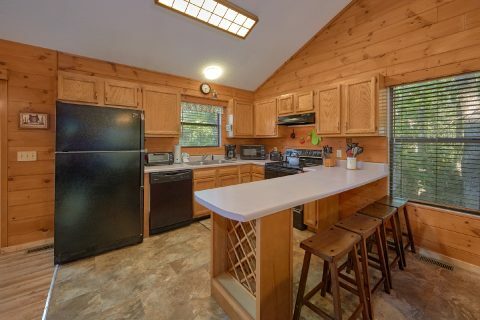 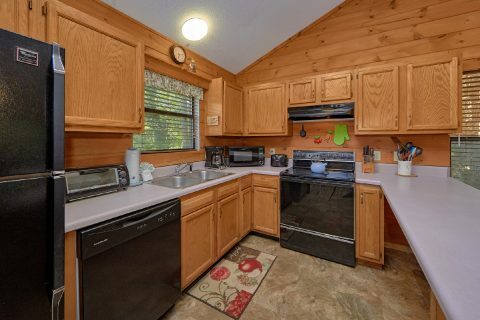 Your cabin comes with a fully equipped kitchen, great for everything from picnics to holiday meals. 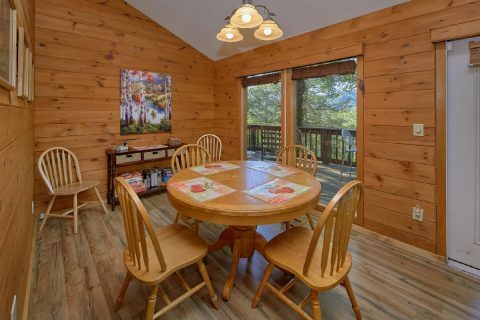 The dining table doubles as a game table for games of bumper pool, cards, and other activities. 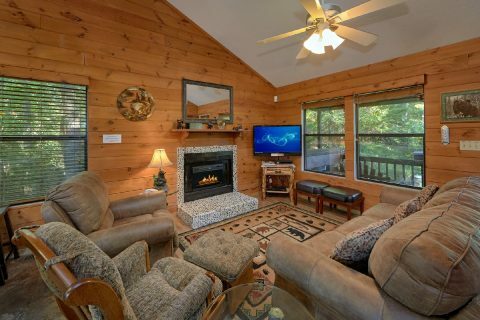 In the living room, guests can enjoy glowing fires in the electric fireplace while they enjoy a laid back movie night. 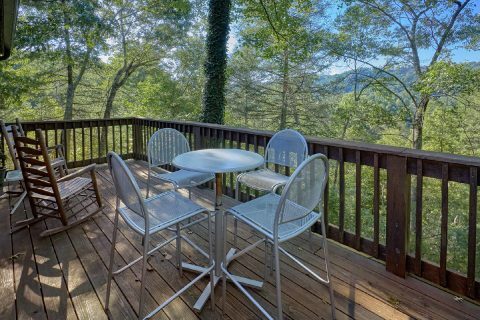 "Blessed Memories" gives you the opportunity for an affordable family getaway in the Smokies you've been dreaming of! 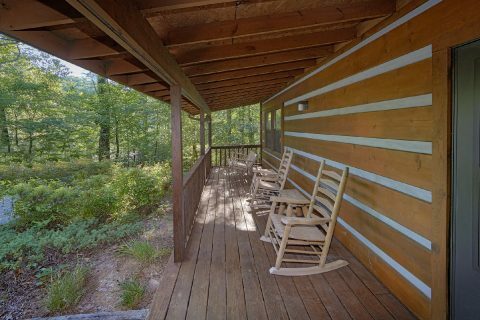 Book "Blessed Memories," your Smoky Mountain semi-secluded cabin, online and get immediate Online Savings!